The Chinese outbound real estate investment grew strongly in 2015 despite domestic market uncertainties, with the total outbound Chinese capital reaching nearly US$30 billion, doubling that of 2014, according to a new report by Knight Frank. The second global China Outbound Real Estate investment report: New Wave, Destinations revealed that the recent RMB devaluation and stock market turbulence had contributed to the market uncertainty and increased investors’ wariness of further policy intervention. The report claimed this underscored the need for diversification for Chinese investors, particularly to overseas markets. Against this backdrop, there were some predictions of a retrenchment of Chinese outbound investment which did not come to fruition. In 2015, Australia continued to see rapid growth in real estate investment from China, with Sydney and Melbourne the focus. The China-Australia Free Trade Agreement, the Qualified Domestic Individual Investor or QDII schemes are expected to drive more Chinese investment in the Australian property market. According to Knight Frank’s Head of Research & Consulting, Australia, Matt Whitby, “Investor interest in Australia, particularly in Sydney, has not diminished as many had feared – even after the latest RMB devaluation and with demand for natural resources weakening. "“Australian prices, coupled with strong Chinese buying power and continued weakness in the Australian dollar, has continued to attract capital inflow. "Knight Frank’s Head of Asian Markets, Australia, Dominic Ong, said, “In 2015 we saw a significant increase in Chinese outbound investment into Australia, with Sydney and Melbourne attracting a total of US$3.8 billion of Chinese investment. "“From 2010-2015 Chinese investment into the Sydney and Melbourne markets has skyrocketed. Given the level of growth that we have experienced over the past five years, we anticipate that the outflow of Chinese investment into Australia will remain at steady and strong levels but it will be difficult to beat 2015. “This is particularly the case given one transaction alone in 2015, CIC’s purchase of the Investa Portfolio, was worth $2.45bn. This was a significant contributor to the final figure. "According to Mr Ong, Chinese investment activity will be focused on development sites and office investments, focusing on prime product in the Sydney and Melbourne markets. “The best, most prime development sites and offices in the best locations will attract the most attention,” he said. Mr Ong said he predicted some growth in 2016, but potentially not levels as high as Australia has seen in the last few years. “I expect demand will be strong for the next three to five years, but what might affect the transaction volume will be supply – the lack of available prime stock available in the best locations,” he said. Figure: Where and what are they investing in? Despite domestic market uncertainties, Chinese real estate investment overseas has continued to grow strongly in 2015, riding on the strong appetite for overseas real estate from both major and smaller investors. This trend is also supported by the growing need for diversification from the Chinese market. In 2015, there are significantly more Chinese developers investing overseas, reflecting their need on for investment diversification. In contrast, there has been only a small increase in the number of insurers investing abroad, however the transaction size attractive to the insurance companies is typically far larger than that of other buyer groups. Global gateways continue to attract the bulk of Chinese overseas real estate investment in 2015. The insurance giants in particular, continue to splash out on trophy properties. There has been significantly increased investment in US commercial real estate, making it the fastest growing mature market. Meanwhile strong growth in Australia continues unabated while investment in the UK is on par with that of 2014. There was a general preference for office assets in 2015, by both insurers and developers alike, especially the US gateways and regional hubs. Meanwhile, hotel transactions have increased significantly, propelled by a number of mega-deals in Manhattan, New York (the Waldorf Astoria to Anbang Insurance) and Sydney (the Hilton to Bright Ruby). Large investors continue to favor gateways because of the availability of stock, capital value and rental growth. Meanwhile some leading regional centres have become attractive to small- to mid-cap investors seeking higher yields. Paul Hart, Executive Director, Greater China comments, “The traditional gateways are still the preferred destinations for Chinese investment. Manhattan, New York has become the top investment destination in 2015 having attracted US$5.78 billion of investment, a fivefold increase YoY. This is followed by Sydney and Melbourne in second place in 2015, attracting a total of US$3.8 billion of Chinese investment. London was in third place mirroring the momentum of previous years. For London, our view is that we are at the end of the yield-compression stage of the office cycle. Rental growth prospects are strong with the vacancy rate at a 14-year low. Buyer interest is focused on development sites and short income assets, particularly in London’s tech villages. Although relatively expensive, London delivers consistently good, demand-driven rental growth, making it attractive for investors in the coming 12 months. In the US, the majority of the Chinese capital flows were into hotel and office properties in the New York borough of Manhattan, accounting for 52.3 per cent of the total investment in the country. We also see an increase of small to mid-cap investment in a range of primary and secondary markets, such as Los Angeles, San Francisco, Chicago and Boston. Mr Hart believes that Chinese investors will continue be interested in the traditional gateway markets. However, the advent of the “Belt and Road” policy will also focus Chinese institutional investors on economies that have close geographic and economic ties with China. Beneficiaries will include Hong Kong, ASEAN counties and India. Interestingly a Tokyo office investment by CIC was one of the biggest investments 2015 and we expect that Japan will continue to be of interest. David Ji, Director and Head of Research and Consultancy, believes that, in contrast to some predictions, the growth of Chinese outbound in 2016 will be strong despite the ups and downs of the domestic economy. And the availability of quality stock has significant impact on the short- to mid-term investment decisions. 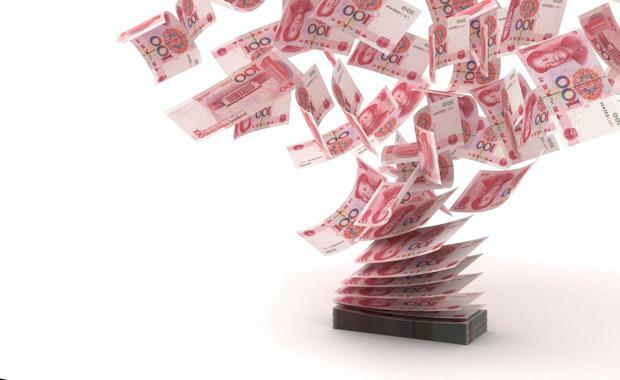 Going forward, as Chinese capital outflow increases with policy support such as “Belt and Road” and the Asian Infrastructure Investment Bank, as well as China’s trade and financial initiatives, capital outflow will become increasingly sustainable. This means ample opportunities for gateway markets and key regional hubs.